The "Mathematica: A World of Numbers...and Beyond" exhibit at the Boston Museum of Science opened in 1981. Until recently, a small error in the equation for the Golden Ratio had gone completely unnoticed—that is, until 15-year-old Joseph Rosenfeld visited the museum. The high school sophomore from Virginia was in Boston on a family vacation when he noticed that the equation had a minus sign where there should be a plus. 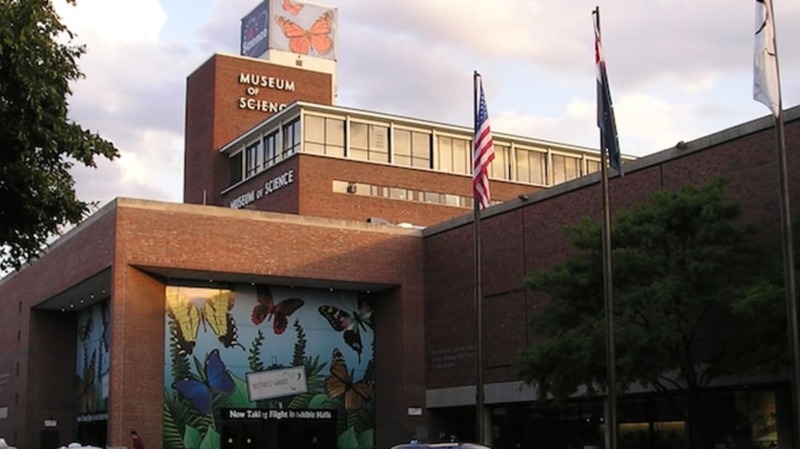 When Rosenfeld realized he was right about the missing addition symbol, he left a note about the error at the museum's front desk, but didn't include any contact information. His aunts, who had accompanied the teen on his visit, later reached out and informed the museum about who had spotted the mistake. In response, the museum sent Joseph a letter acknowledging their error and promising to address it. "You are right that the formula for the Golden Ratio is incorrect. We will be changing the – sign to a + sign on the three places it appears if we can manage to do it without damaging the original," Alana Parkes, the museum’s exhibit content developer, wrote in the letter. She noted that changing that particular exhibit would be tricky because the entire thing is considered an artifact. However, by the time the Boston.com story ran, the error had been fixed. For his contribution, Joseph, who wants to go to MIT one day, was invited back to tour the museum's newest exhibit, The Science Behind Pixar. UPDATE: As many people have pointed out, in this comment section and others, while Joseph had a point, he wasn't right in saying the museum was wrong. Technically, the Golden Ratio—which describes the relationship between side lengths of a particularly appealing rectangles—is (√(5)±1)/2, where ± means plus or minus. Typically, it is written with just the plus sign as a way of indicating that the ratio of the whole segment to the longer part is equal to the ratio of the longer part to the shorter part. This number, the one you get if you use addition, is 1.618... going on forever. However, it is equally true to say that the smaller part divided by the larger part equals the larger part divided by the whole—a ratio described by the same formula if you use subtraction instead. Joseph was expecting to see the plus sign because 1.618 is the number typically associated with the Golden Ratio, a number symbolized by the lowercase Greek phi. The museum, however, had the formula written with the minus sign, or 0.618. As a final point in their favor, earlier in the exhibit, the ratio is symbolized by an uppercase phi, which is used to represent 0.618. So while the museum was unconventional, they were not only correct, they were also consistent.